Skin cancer in your eyes! Protect how you see the world. How Traditional Tanning May Affect Your Eyes. Ultraviolet radiation, from a tanning bed, reaches up to a 100 times greater exposure to your eyes than that of the Sun. According to an article posted on LiveStrong.com, simply closing your eyes isn’t enough protection. Overexposure of ultraviolet radiation to your eyes can compromise their health. The Health Physics Society mentions cataracs and photokeratisis as the most commonly reported eye issues directly related to UV exposure. But did you know that you can get cancer in your eye? Just like on your skin, you can actually get Melanoma in your eyes as well. Just like we recomend having a good dermatologist that you see yearly it’s also a good idea to see an eye doctor and have them check the general health of your eyes. 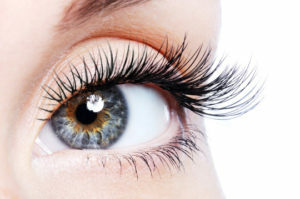 To learn more about potential risk factors, including eye color, check out an article on this subject posted on Cancer.org. Your Winter Face – 6 Areas to watch this winter. “Put your best face forward”. Check out 6 areas often forgotten during winter months. The suns rays are just as powerful now as they are in the summer. Exercise good judgement and always wear sunscreen. Don’t forget you can always have a warm glow year round. Use Face, our organic anti-wrinkle moisturizing tanning cream, on your face and neck. Here is a great way to schedule and optimize annual doctors appointments. March – Dermatologist Appointment ( find one in your area click here). Try and find a derm that takes you seriously. This is a great time to get checked before you are out in the sun. With no tan it’s easier for your derm to get a good look. Ask about mole mapping. They can measure and or take a picture of each mole so that from year to year you can look for measurable changes. June – OB/GYN. Time for your super fun annual exam. 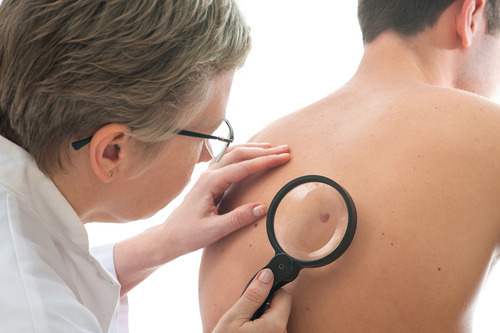 Did you know that melanoma can often be found in areas where the sun don’t shine? Weird but true. Have your gyn take a look down there for anything suspicious. September – Annual physical by physician. By spacing your derm and your physical 6 months apart you get the benefit of a professional taking a look at you at least twice a year. November or January – Ophthalmologist (not optometrist or optician). Did you know that you can even get skin cancer in your eyes, even melanoma? Yikes. Learn more. An ophthalmologist is a medical doctor who can diagnose and treat disease. Have one take a look annually at your whole eye. I hope this helps and you take your skin care seriously. It’s not always about being youthful sometimes taking care and being on top of things can save your life. In an effort to understand the FDA’s new regulations it’s important to understand some terms that we often see on our sunscreen labels. Don’t know what I’m talking about click here to read part one of this series. These are some of the terms commonly found on sunscreens. Sunblock – a topical product applied to the skin that is believed to protect skin from UV radiation. The radiation is either blocked (scattered) or absorbed by the ingredients in the topical product. SPF – Sun Protection Factor indicates the level of protection skin has from harmful sun exposure (UVB exposure only).1 Determining what SPF you need can be a complicated math equation, but as a general rule of thumb 30 SPF is sufficient for the average person.2 More SPF makes sense if you or your family has a history of skin cancer. Most research indicates anything claiming over 50 SPF is more hype then anything else. Get the most out of your sunscreen by applying it correctly. Step 1: Apply to skin 30 min prior to sun exposure. Step 2: Re-apply after 15-30 minutes after initial sun exposure. Step 3: Re-apply every 2 hours or after swimming or sweating. Why? Answer: Some ingredients in sunscreens need to be absorbed in order to provide protection, some need to be layered and some simply wash off or sweat off. These three steps will give you the best protection. So you will not even know if you have had too much exposure until it’s too late! UVB – Electromagnetic radiation, short wave Ultraviolet Light can result in sunburn, blistering of the skin and some forms of skin cancer. It’s important to note that this is also a vital source of Vitamin D.
Broad or Full Spectrum Coverage – the words lead the public to believe that the product it’s describing will protect them against both UVA and UVB rays. This is NOT correct, in fact this is one of those terms that hasn’t been regulated by the FDA in the past. So, what should all this mean to us? Below are my thoughts. Being out in the sun can be a healthy thing, we should enjoy great weather and have fun. When armed with the proper information and right protection, there is no need to fear the sun. Skin is exposed to UVA without protection far more often than UVB…because remember SPF only protects against UVB rays. Chose a sunscreen with at least an SPF of 30 and make sure it has UVA and UVB protection. If it doesn’t say those words specifically then find one that does! The Environmental Working Group has an amazing database that you can put your current products to the “test” and they give recomendations if you need one. Now we know what needs to be in our sunscreens. But, are there ingredients in our sunscreen that we should be concerned about? The next post in this series will help to decode some of this.